Stress incontinence is when you wet yourself during exercise, coughing, sneezing, laughing or other movements that put pressure on the bladder. The ligaments that hold the urethra (the tube through which you pass urine) in place no longer function effectively, leading to leakage. It is mostly related to pregnancy and childbirth. 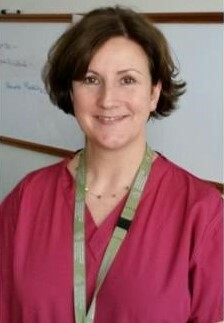 Consultant urogynaecologist Dr Suzanne O’Sullivan says: “Relaxin, the hormone which allows ligaments to soften and stretch during pregnancy, affects the ligaments supporting the pelvic floor and urethra. “One symptom is having a strong urge and having to drop everything and run to the toilet,” says O’Sullivan. Other symptoms are frequently needing to go to the toilet (eight or more times a day, or two or more times a night) and, in some cases, accidental leakage of urine because of not getting to the toilet in time. A study released this week shows that one in two women over 18 will suffer some degree of adult incontinence at some stage in their lives, yet most of them will suffer in silence. It will take them, on average, six to eight years to ask for help. Yes, years. Some won’t even tell their husbands. Others will buy two identical pairs of everything – trousers, skirts, dresses – so that they can change without drawing attention to themselves if they have an ‘accident’. More will see it take a huge toll on their happiness, work-life, travel, exercise and, of course, their relationships. A new campaign launched by Always Discreet, the company that makes products for bladder-leak protection, aims to break the silence around adult incontinence so that women can start to feel empowered again. Campaign ambassador Dr Sarah Jarvis tells Feelgood that the first step is to start talking about adult incontinence and recognising that it affects a huge number of women – of all ages. “The woman with bladder incontinence is every woman, she is your next-door neighbour,” she says, scotching the myth that only elderly women suffer from sensitive bladders. It can happen for a wide range of reasons, too: while childbirth and menopause are significant triggers, there are many others – surgery, strenuous exercise or being overweight. For Jacqueline (now 60) childbirth took a toll, though at first she had difficulty only when she laughed, coughed or sneezed. She loved keeping fit though, and soon she found that she wasn’t able to do star jumps in the gym. “I looked like something out of Andy Pandy. I couldn’t jump about any more,” she says. She eventually sought help and now wears a slim incontinence pad so that she doesn’t have to worry about leaks. Her message to other women: speak about it and remember “you are normal and you are not on your own”. Dr Suzanne O’Sullivan, who chairs the Continence Foundation of Ireland, says part of the problem with bladder sensitivity is that it can creep up on a woman very gradually. At first, it’s a leak or an accident just once a month but it gradually gets worse. Often women won’t go to their doctors until it becomes completely unmanageable, but Dr O’Sullivan urges women to seek help as early as possible. The consultant obstetrician and urogynaecologist at Cork University Maternity Hospital explains that there are two types of incontinence: stress incontinence and urge incontinence. Stress incontinence is characterised by bladder leaks when you cough, sneeze or laugh while urge incontinence happens when you have a strong need to urinate, but can’t reach the toilet in time. Most people, she explains, will have a mixture, but both conditions can happen to women of any age. “It’s definitely improvable in all cases and curable in most,” she says. Sometimes there can be a radical improvement just by introducing pelvic-floor exercises. Limiting alcohol, caffeine and fizzy drinks can help too. It’s also possible to train your bladder and a doctor can help to work out a schedule. If those measures don’t work, medication or surgery can make a big difference. A new Irish website to help people with overactive bladder went live last week (www.oab.ie) and it spells out the treatments available and tells women how they can get help. The website estimates that 16% of the Irish population over 40, some 350,000 people, may be affected by OABs , but bladder incontinence can affect women of any age. Maeve Whelan, a Dublin-based chartered physiotherapist specialising in women’s health and continence, explains that pelvic-floor complaints can affect girls as young as 16. An Irish study, published in the International Urogynecology Journal in 2014, showed that up to 60pc of young girls had some sort of pelvic-floor condition, ranging from bladder and bowel conditions, pelvic organ prolapse or chronic pelvic pain. So why isn’t it talked about more? Maeve Whelan says some women do talk about it in their own circle of friends, which can be a great source of comfort, but there are many others who suffer in silence. She recalls the elation – and relief – of one elderly client who, on a weekend away with two friends, finally admitted that she had a bowel condition. It turned out the other two friends had exactly the same complaint. But when it comes to urinary incontinence, women are particularly loath to speak about it. They are also unsure of where they might go for help. But there is lots of help available from specially trained HSE nurses to trained physiotherapists and your GP. There’s a lot you can do to help yourself too, including exercise. While pelvic-floor exercises have become a bit of a buzz word, many women aren’t doing them correctly, which can make a bladder condition worse. Maeve Whelan recommends women get individually assessed by a qualified physiotherapist before embarking on an exercise programme. It will involve an internal pelvic examination but, that way, a woman can be certain she is on the road to improvement. * For more information, see the Irish Society of Chartered Physiotherapists’ website, www.iscp.ie; www.waketopee.ie, www.incontinence.ie. For other women’s experiences and tips see www.alwaysdiscreet.co.uk. Fotona’s high-performance Er:YAG laser ablates precisely without heating surrounding tissue. Er:YAG energy is highly absorbed in water – the main target chromophore in skin treatments – and can thus vaporize the skin with micron-level precision and very little thermal conduction. Fotona’s patented VSP (Variable Square Pulse) technology enables the Er:YAG laser to be accurately tuned from warm to “cold” ablation as well as non-ablative thermal ratios. This allows for a wide range of non-ablative treatment possibilities, including Fotona’s revolutionary IntimaLase®, IncontiLase® and RenovaLase® treatments based on proprietary SMOOTH mode settings.